Brunch is probably my most favorite meal. You get the best of all meals + dessert all in one sitting and it’s usually served a little later than breakfast, so you can sleep in! What’s not to love about brunch?! 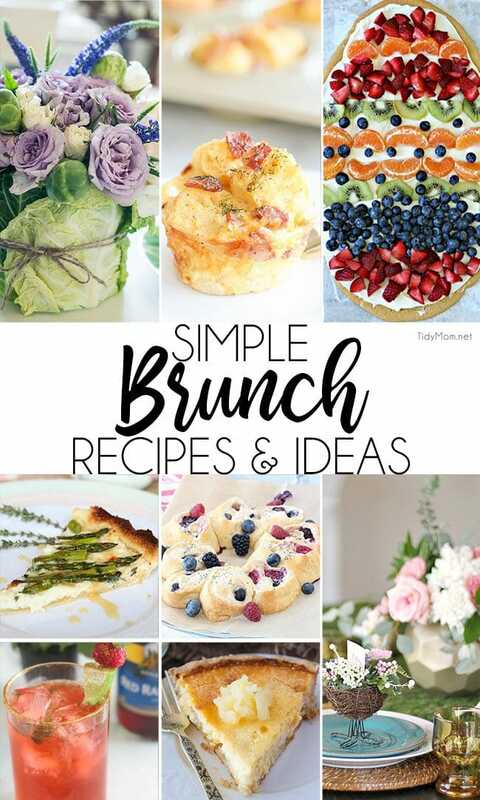 Simple Brunch Recipes are in high demand in the Spring, with Eater and Mother’s Day….so I’ve got your brunch-packed weekends covered with a plethora of easy and delicious brunch recipes and ideas. Hop along the bunny trail and make an easy DIY Easter Cabbage Arrangement. The cabbage wrap elevates a pretty arrangement to something truly memorable. Your guests are sure to notice and enjoy the beauty of this arrangement. Take a slightly lighter and more beautiful approach to the breakfast casserole, creating individual serving Breakfast Strata Cups where each is baked to perfection. Perfect for serving a crowd at any brunch, without a lot of effort. Shaped like an egg, topped with a delicious cream cheese frosting and your favorite fruits, makes a colorful Sugar Cookie Easter Egg Fruit Pizza! Brunch is the perfect combination of breakfast and lunch and it’s the perfect way to entertain guests this Easter. Impress your friends and family with a sweet and savory Asparagus Tart with Honey Lemon Sauce. This Triple Berry Cream Cheese Ring recipe is SO easy and it is a gorgeous addition to your breakfast table. Bring it to brunch for a beautiful crescent ring that tastes as good as it looks. Raspberry Basil Sparkling Cocktail isn’t just any cocktail, it’s a sugar-free and low carb cocktail that will be perfect for any spring brunch. Creamy, smooth and tropical! This Pineapple Pie is easy to prepare and guaranteed to be loved by all. Spring brunch entertaining couldn’t be easier than this! 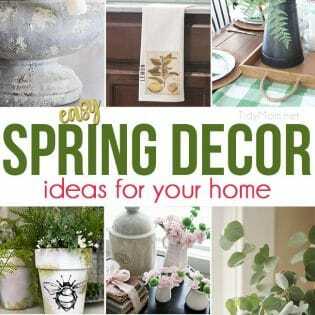 Follow these simple Spring tabletop decorating ideas with an inviting buffet of brunch food placed in the middle ‘family-style’. 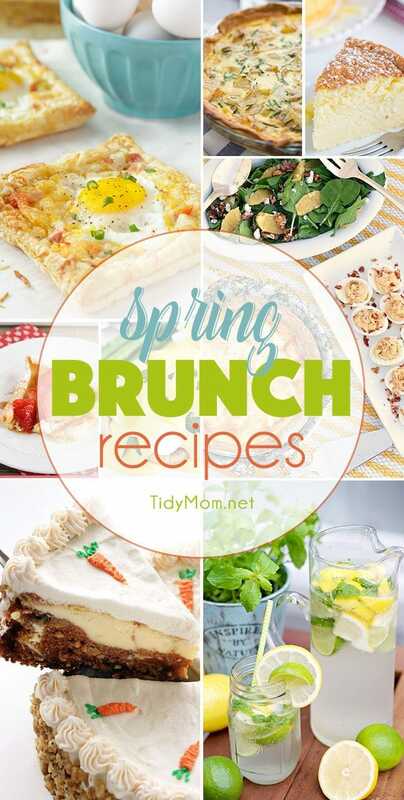 These SPRING BRUNCH RECIPES will have you looking for a reason to get together with family and friends. I’ll never pass up good breakfast. 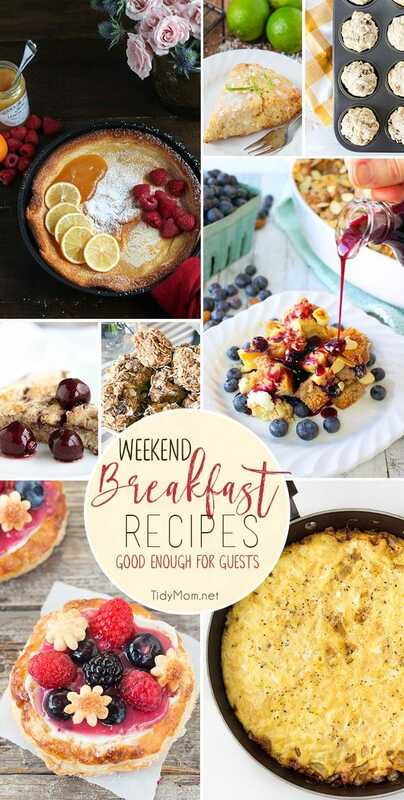 Whether it’s brunch, or breakfast for dinner, these weekend breakfast recipes are easy, yet good enough for guests! 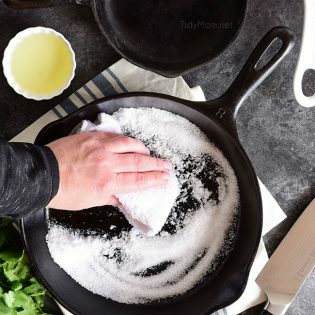 Whether you are a mother or you are celebrating a mother, I have a Mother’s Day Brunch Meal Plan to help make Mom feel special. From appetizers and mains to desserts, Mother’s day gifts and decor. This is week 401 (8 years) of hosting this I’m Lovin’ It linky party. Each week I feature some of the posts that caught my eye from the previous week. Please take a moment to visit the featured blogs ……..then scroll down to see what’s being shared this week. 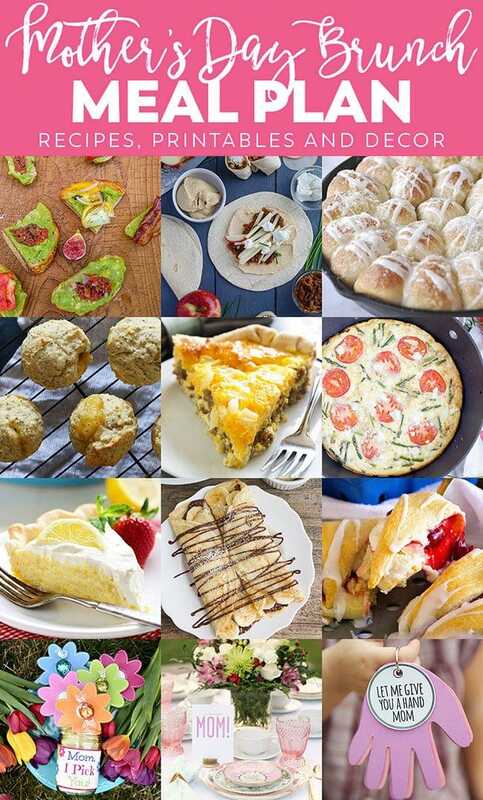 GREAT BRUNCH IDEAS! One of my favorite meals too. Thank you for hosting. Have a great week. Thanks so much for hosting! I hope you have a fantastic weekend! Brunch is the best meal! Thank you for featuring my Sugar-Free Raspberry Basil Cocktail! Have a fun weekend! All of these look so delicious! I can’t wait to make these! I will for be doing a bunch of these for Easter, thank you for doing these recipes posts. I really enjoy them! Thanks for including my stratas! Hope you have a beautiful Easter.